The 24 day yoga teacher training has come to its final day. 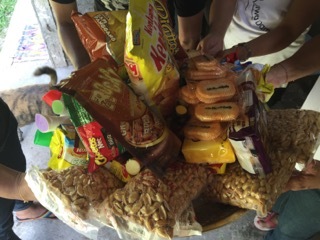 The lovely participants expressed their gratitude by making a gift basket for the Jiwa Damai Team which took care of them and tried to make Jiwa Damai the home away from home during the 24 days. 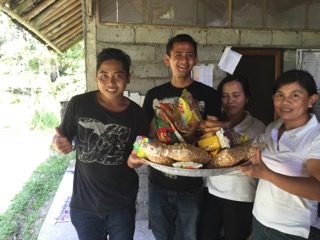 Our team will share the gifts equally, for kitchen and garden since each was involved hosting and providing for the really great group and their teachers. Find out more about our workshops at Jiwa Damai here.